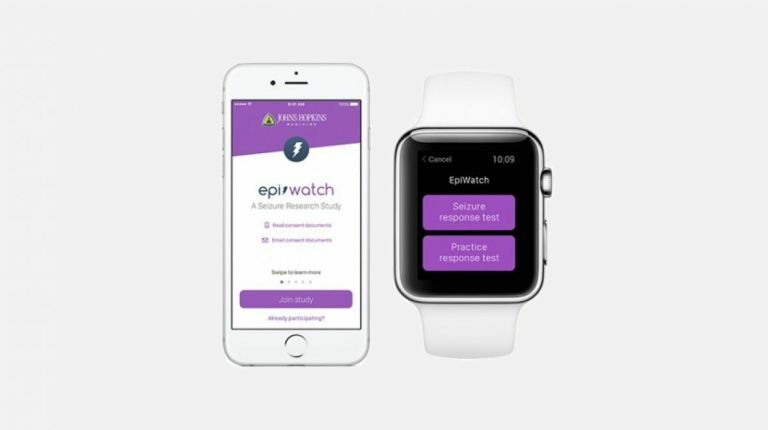 EpiWatch is the first ResearchKit app for the Apple Watch; using the smartwatch's sensors, combined with the iPhone app to record seizures and better understand epilepsy. The app works by collecting data from the smartwatch automatically through the sensors on the smartwatch before, during and after epileptic seizures, so that sufferers of epilepsy can track and monitor their condition. The data which the smartphone picks up includes a monitored hear rate reading which will pick up an epileptic fit if your heart rate raises rapidly. It will also measure movement via the Apple Watch's accelerometer and gyroscope. Apparently users shouldn't completely rely upon this app to track seizures. Currently in the apps first stage, researchers are asking for epilepsy sufferers to come forward, so that they can build a complete system that works for everyone. Gregory Krauss a professor of Neurology expects that after two years of collecting data for the EpiWatch app, it will keep on improving to an extent that the app will be able to send notifications to family/ friends if someone is having a seizure, although the technology would have to be extremely accurate for this to take place to avoid unnecessary scares. Users will also be bale to view diaries and data, being able to compare symptoms and other seizures with people of a similar age.